New Delhi: Prime minister Narendra Modi has said country’s woman power has contributed a lot in the positive transformation being witnessed in our country and society. Mr Modi said woman power is playing a pioneering role and establishing milestones and there are no upper limits for Nari Shakti. 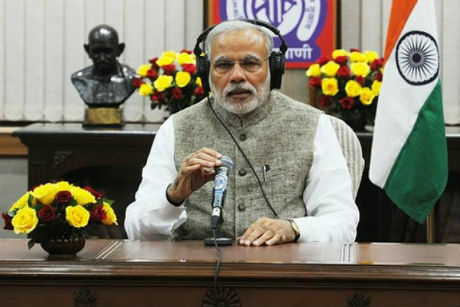 In his first episode of Mann ki Baat in this year, Prime minister has expressed happiness that women in India are taking rapid strides of advancement in all fields bringing glory to the Nation. 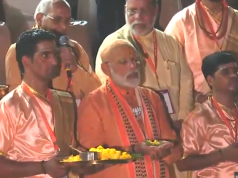 Quoting from scriptures, Mr Modi said a daughter is equivalent of ten sons and woman power binds closely together society as a whole, the family as a whole on the axix of unity and oneness. Remembering astronaut Kalpana Chawla, he said its a matter of sorrow for all of us that we lost Kalpana Chawla at the early age, but her life, her work is a message to young women across the world. Saying relentless efforts towards self improvement and self correction is a salient feature of our society, Mr Modi lauded the effort of the Bihar government for forming world’s longest human chain spanning over thirteen thousand kilometres to uproot social ills in the state. He appealed to the countrymen to pledge together to wipe out evil customs from our social fabric. Saying medicines available at over three thousand Jan Aushadhi Centres are fifty per cent to ninety per cent cheaper than branded drugs available in the market, the Prime minister said this is making healthcare affordable and encouraging Ease of Living. Mr Modi said the sole aim behind this step is ensuring availability of quality and affordable health service to the poorest of the poor, so that a healthy and prosperous India comes into being. 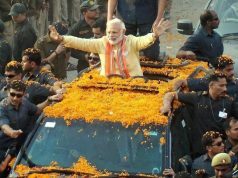 Lauding the efforts of six thousands people of Akola, Prime minister said they are continuing campaign to clean Morna river in Maharashtra. He said huge social reforms can be brought about through mass movements. Mr Modi said this will inspire the other citizens of the country. Saying transparency has been brought about in Padma awards, Prime minister said entire process has been changed in past three years. Mr Modi said any citizen can nominate any person in our country. 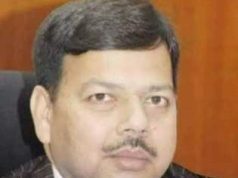 Prime minister said Arvind Gupta, an IIT Kanpur alumnus who inspired generations of students to learn science from thrash, has been honoured with Padma Shri. Mr Modi said Arvindji has been making toys from garbage for over four decades so that children can increase their curiosity towards science. He also took names of Sitavaa Jodatti from Karnataka, Kerala’s tribal lady Lakshmikutti for continuously serving society. The Prime minister said there are many gifted women and men who remain faceless of unknown and failure to identify such people is a loss to the society. Mr Modi also expressed happiness that the people of Indian Origin who live in different countries continue to server those countries and at the same time have maintained their strong relationship with India as well. Remembering Mahatma Gandhi, the Prime minister said the path of peace and non violence is the path of Bapu and this is applicable not only for India or the world, but also for a person or a family or a society. Mr Modi said the ideals which Bapu practiced in his life, things that he imparted are relevant even today.